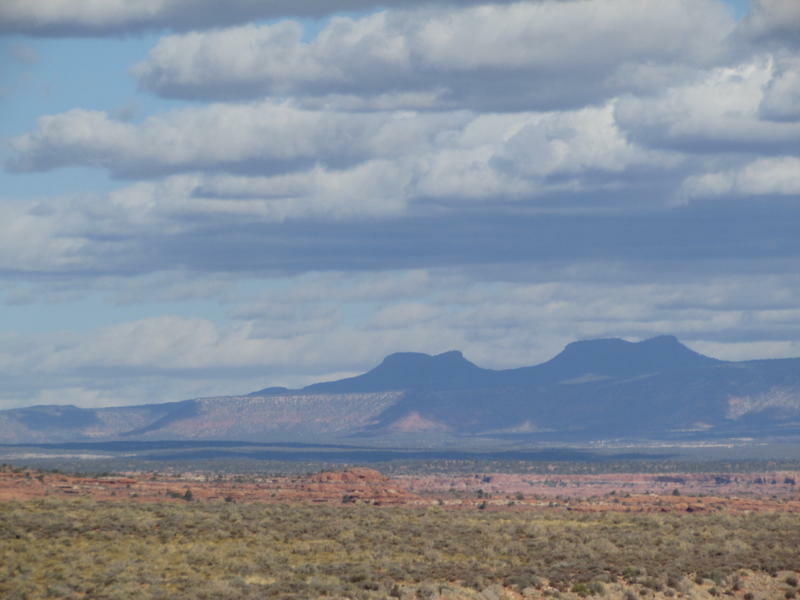 The company announced June 13 that it’s looking for copper and cobalt around Colt Mesa in the northeast corner of the original 1.9 million-acre national monument. That area was off limits to mining for 21 years — until last December, when President Donald Trump shrunk Grand Staircase nearly in half and lopped more than 1 million acres from the nearby Bears Ears National Monument on the same day. 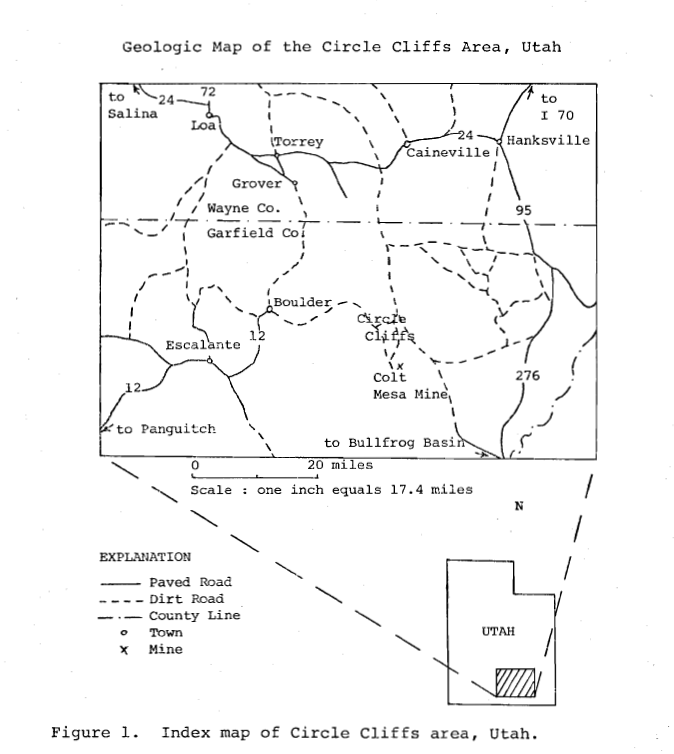 Map of the Colt Mesa Mine area from Gay Madsen Collings' thesis on the Colt Mesa Copper deposit as a University of Utah geology student in 1975. This analysis was cited by the Canadian company in its announcement about mining prospects on land that used to be the Grand Staircase Escalante National Monument. “To date they haven’t started mining but they have staked claims and recorded those claims,” said Nada Culver, an attorney for the Wilderness Society, which has filed one of two lawsuits against the administration’s efforts to downsize the monuments, arguing that the move is illegal. The company did not respond Wednesday to phone calls or emails seeking comment. But the U.S Interior Department defended Trump’s decision to shrink the monument to half its original size. Department spokeswoman Heather Swift said the land is now open to multiple use — and protected. “The Bureau of Land Management is managing the land transparently, and in accordance with all environmental and public land laws,” she said in an email. But critics argue the BLM and the company shouldn’t be talking about mining before a Federal District judge has ruled on whether Trump’s action was legal. 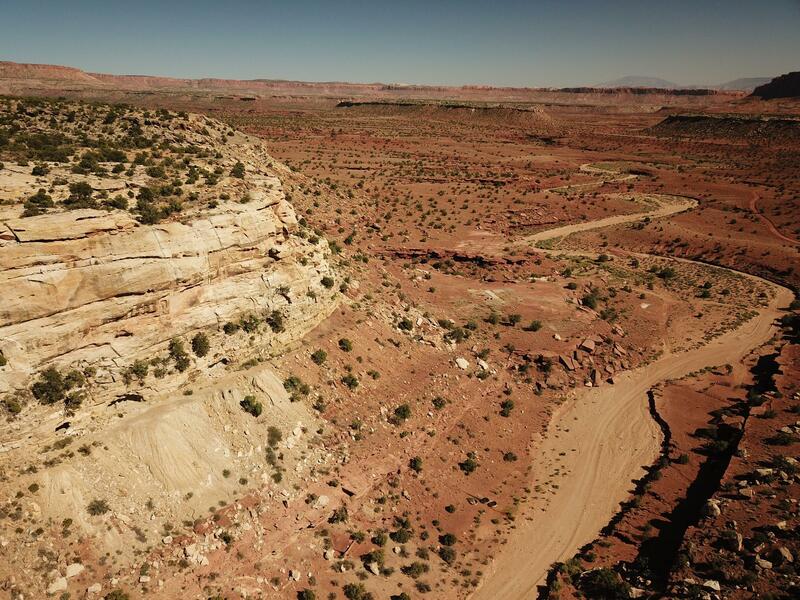 “We certainly don’t intend to allow any kind of activity to proceed without seeking immediate injunctive relief from the courts,” Steve Bloch, an attorney for the Southern Utah Wilderness Alliance, said. 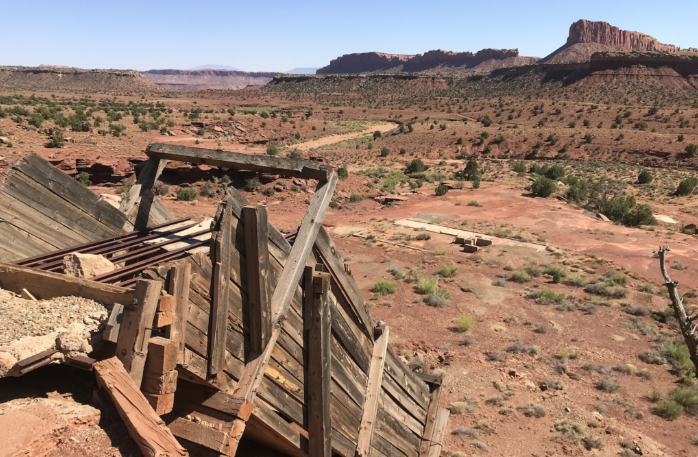 Conservation groups have argued the area around the old Colt Mesa Mine should not be open to new mining until the dispute over the Grand Staircase Escalante National Monument boundaries is settled. Grand Staircase Escalante Partners, a monument advocacy group, is leading the second lawsuit. Like the other conservation groups, the organization plans to keep collecting information before deciding whether to ask a judge to stop mining activity in the disputed area. Nicole Croft, director of the monument advocacy group Grand Staircase Escalante Partners, said her team has seen stakes and recent road improvements at the site. Screenshot from House Federal Lands Subcommitee. Rep. Chris Stewart, R-Utah, presented his bill Thursday to reconfigure what used to be the Grand Staircase Escalante National Monument.